Obscurity, a red halo, the three trays, the magic of the image appearing … After all these nights spent in the dark room and its mysteries, by the age of 16, Etienne wanted to be a photographer. Alas, it is not possible: life and its ills, a Bachelor of Arts, Africa, a job in software publishing … and decades went by. Until digital photography. And with it, the immediacy. Not to mention the illusion of ease. All these factors contribute to revive Etienne’s passion for the image. Almost full-time: the academy for six years, with its outstanding teachers, exhibitions and shows, projects brought to fruition. And slowly but surely, recognition from the public. 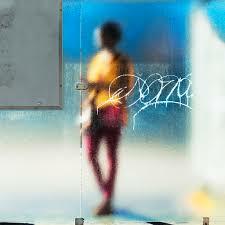 While Etienne is very influenced by the first major colourists such as John Batho orLuigi Ghirr, he takes after Saul Leiter, Stephen Shore, Meyerowitz, Eggleston and others. His masters are Walker Evans, John Beasley Greene, Ernst Haas, Irving Penn, Mario Giacomelli. Etienne was Juror's Pick of the prestigious LensCulture Street Photography Award 2017 with his series Temps d'arrêt / Break time. The series has been shown in Droga5, NYC, in April 2018. The series has been published in a book titled "Down Time / Temps d'Arret" by ARP2 Publishing in 2018. The series "Through the American Flag" has been shown at the Académie des Beaux Arts of Anderlecht Brussels. À mon avis, vous ne pouvez pas dire que vous avez vu quelque chose à fond si vous n’en avez pas pris une photographie. 3. What is your favourite occupation? Strolling around, writing, taking pictures, not necessarily in that order. 4. What historical figure do you most identify with? None. 8. What is your most treasured possession? My pictures, family and others. My texts. 9. When and where were you happiest? With an intelligent woman in a big car, on small roads, with good music on. 16. What do you consider the most over-rated virtue? Transparency, the demand of transparency. I hate it. 18. Which words or phrases do you most over-use? I dont know. Maybe: “I don’t know”. 21. Where would you like to live? Here and now. Nowhere else. Although, I do not always manage to do it, of course. 22. What is the quality you most admire in a man? Physical courage crossbred with a feminine sensitivity. 25. What do you value most in your friends? Attention. 29. What is your motto, the words you live by or that mean a lot to you? But brings to me the sovereign good.